Like Uncle Joe the steam locomotive is moving kinda slow. The three things for this chapter are from a talented writer you have seen featured here in the past. I can always count on Daniel (aka Randstein) at “Hyperion Sturm” to send marvelous things to drive the serial. Be sure to check out this talented writer’s amazing blog. The locomotive has finally reached the platform. All aboard! First things first, I told myself as I turned my attention back to the dead body slumped over Calvin Hixon’s desk. I had expected to see a pool of blood, but the top of the desk was clean. The dead man’s left hand rested on the desktop. Something seemed wrong about the position of the hand. It had been moved. We had a measuring device. It looked like a silver toothpick holder. It was shaped like a little gazebo with a domed roof supported by columns. Within was a crystal bird with wings outstretched. Tiny holes in the rounded roof held toothpicks. If the toothpicks started to turn lavender, it was a warning that we had been in the amethyst world too long. If all the toothpicks turned purple we were in serious danger of being unable to return home. Should the bird turn purple, it would be too late. I quickly took the detector out of the Dutchman’s bag so I could examine it. The toothpicks were lavender. The amethyst ape looked to the direction in which his violet complected chimpanzee housekeeper had ridden away on an aubergine coated horse. Viola went back to his grand house to make sure the doppelgängers of Copper and myself did not come any closer. Their proximity had made us quite ill, but Cornelis alchemically altered some green Chartreuse, which set us back to rights. I wondered if the ape versions had also felt ill.
Cal Hicks shook his head regretfully. “Poor Viola,” the ape murmured, causing me to ask what he meant. 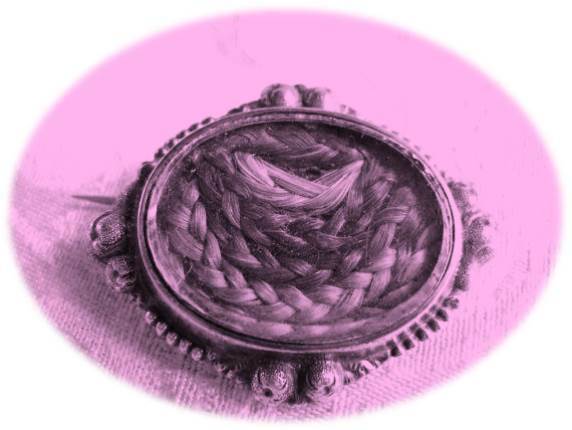 “She showed you the locket containing a bit of her dead son’s hair,” he said as a reminder, so I nodded. “He was lost in the battle with the one-eyed-one-horned flying-purple-people-eater; the dragon. Though I cannot reconcile that in my mind with the tiny Purple Fairy, Aubrieta. Whatever changed her form to the dragon must have also held uncontrollable sway over her personality as well. We should feel pity for her, not resentment,” Cal added as if to himself, then cleared his throat. “Forgive me, I digress. Viola’s son was not in the chapel with the apes that disappeared that day,” Cal said, going back to his point. “Nor was he among those returned by Aubrieta’s magic. Viola said she felt his death a short time after the chapel apes disappeared. I hoped she was wrong, but she must have been correct,” Cal told me. “More’s the pity,” the amethyst ape commented, again shaking his head. “Viola’s son was a scoundrel, though I liked to believe he had a good heart. He never got the chance to correct the path on which he’d put himself. He never reached his potential,” Cal spoke sadly. Cornelis Drebbel got that look on his face. Though his skull was safely ensconced my hatbox, I knew the expression on his face meant the gears in his mind were turning. Abruptly he held an ancient looking leather portfolio. That was where he kept his drawings. He opened the folio and handed two sketches to Cal Hicks. One drawing was of a chimpanzee and the other of a man. First I recognized the man in the drawing as the person we found in the study at the Hixon estate. The man had been dead when we arrived. The rogue chimpanzees carried away his corpse. The second thing I noticed was a strong resemblance in the drawings of the dead man and the chimp. “Is this, by any chance, Viola’s son?” the alchemist asked Cal Hicks of the sketch of the chimpanzee. “We found his doppelgänger dead, but that’s as much as I can say,” Cornelis told him. A few of the returned apes moved uneasily, but they were reluctant to leave. They stayed nearby, hiding their nakedness as best they could. 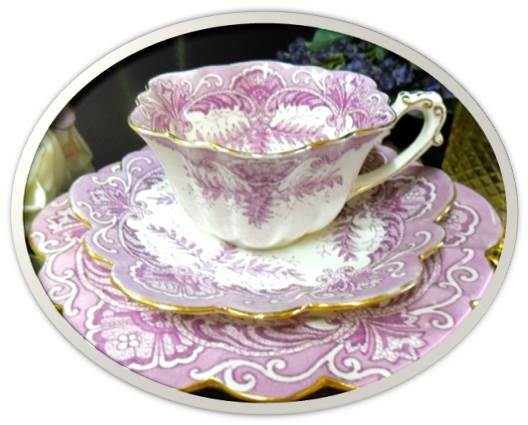 Their coloring had fully reverted to various shades of purple, as was natural for them. Cal Hicks stepped into the laboratory and quickly returned with several pairs of coveralls for them. Hicks invited them to go to his house for a hot meal. However they refused, saying they couldn’t take advantage of his hospitality. They watched Cornelis Drebbel closely, almost as if mesmerized. “At least have some bread and wine then,” Cal Hicks told them. The amethyst ape uncovered a basket containing all manner of loaves, muffins, and cornbread. Hicks insisted that the returned simians at least eat some bread. He told them that being translocated had surely depleted their reserves. Since Hicks wouldn’t take no for an answer, they drank and ate a little, but they looked much more interested in Cornelis and the two fairies. Aubrieta and Absinthe cuddled near the laboratory building. The Purple Fairy and the Green Fairy were both tiny now. 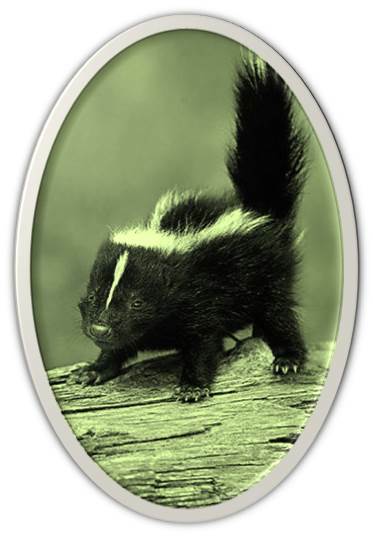 The alchemy that imploded the dome of fire also allowed Aubrieta to remain in her natural winged skunk-looking form. Absinthe stretched and touched his green nose to the golden unicorn-like horn that was above Aubrieta’s single amber eye. They both made muttering noises that sounded remarkably like giggles. The erstwhile purple-people-eater she-dragon and Absinthe entwined their fluffy tails as they muttered and snorted softly to one another. Cal Hicks looked at them wonderingly. “It’s a pity Viola isn’t here to witness that,” he murmured. Cornelis gave a wicked grin. 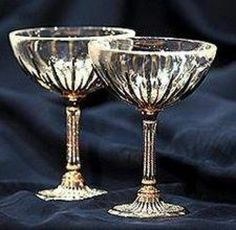 He reached into nothingness and produced a tray with etched champagne glasses. His arm disappeared up to his elbow as he reached into that magic space again and came back with a bottle of champagne. “I wouldn’t pop the cork on that just yet,” I told him. To remind them, I held out the measuring device Absinthe had insisted we take with us when we left the submarine. 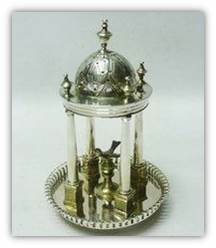 It looked like a silver toothpick holder fashioned to have a gazebo with a crystal bird inside. Tiny rods that resembled toothpicks protruded from the roof of the gazebo. It measured how much we were being influenced by the amethyst world. If we stayed too long, we might not be able to return home. The words of the alchemist echoed in my mind. “Many of the effects can be mitigated,” Cornelis had said, dismissing my concern. “For instance, a little lavender hue is of no real concern. But if all the toothpicks turn purple we are in serious danger of being unable to return home. Should the bird turn purple,” he added pointing to the crystal ornament in the center of the gazebo. “Well, then it is too late,” he’d finished with a wry twist of his mouth, which suggested that was a real possibility. The metering toothpicks had turned to a saturated lavender, and not a pastel lavender like they were the last time I looked. Cal Hicks gasped, his face painted with concern. Absinthe and Aubrieta fluttered over to me and inspected the device closely, muttering the while. Cornelis puckered his lips in an expression that made me think he was about to sidestep something. “As I’ve said, the lavender hue is of no real concern. It could be from your doppelgängers being too near, or even from what we consumed at tea,” the alchemist said in an unconcerned tone, but he cast a sidelong glance at the device. Several feet away, the small group of coverall clad apes conversed quietly but animatedly among themselves. I got the feeling that the group had come to a decision. A very large dark purple chimpanzee came forward. I thought there was something reluctant in the way he moved. “Begging your pardon, Mr. Hicks. We heard the Lord of Alchemy mention doppelgängers. When we—,” the chimpanzee began haltingly. “Well, it’s Von, sir — Viola’s son. When we were in that strange world Von met his double. They both ended up dead, although none of us saw exactly how it happened,” the chimp said and hung his head. “You saw nothing at all?” Hicks questioned, pushing for information. The chimpanzee looked contrite, as if there was something he did not want to disclose. “Von had that family ring he stole from your son. There was a man who seemed to recognize the ring. He tricked Von into giving it to him and then ran off. Von slipped off to track him. We found them at a fine home that looked a lot like yours. But when we got there they were both dead,” the chimp explained. I still wore the signet ring Cornelis removed from the hand of the cadaver we found in Calvin Hixon’s study. Cornelis gave it to me so I could pass myself off as Copper’s aunt, and prevent the people from the orphanage taking her away. The ring was much too big for my finger, but I had taken to wearing it on a ribbon hung around my neck. I pulled it out from inside my shirt. Removing the ribbon I handed the ring to Cal Hicks. “Is this the ring?” I asked. “Lady Felicity! Why yes. That’s the ring I had made for Nate. How did you come to have it?” Hicks asked. He tried to give the ring back to me. I took the amethyst ape’s large hand in both of mine and closed his thick fingers around the ring. “It clearly belongs to you, or your son. I only borrowed it as a way of helping Copper. We don’t need it anymore,” I said. Excited chirping and snorting came from the two fairies. Suddenly Aubrieta popped out of sight. I heard an agitated screech from inside the laboratory. Absinthe snorted and then disappeared. An instant later both tiny fairies reappeared. Between them they supported an intricately designed astrolabe. Aubrieta chirped excitedly. They flew over to Cornelis, and the alchemist gingerly took the apparatus from them. “What is that thing?” Copper wanted to know. “It’s an astrolabe,” Cornelis told her. “They’re used by astronomers, navigators, and astrologers. Its many uses include locating and predicting the positions of the Sun, Moon, planets, and stars, determining local time given local latitude and vice versa, surveying, and triangulation,” he explained. Copper looked blankly at Cornelis and blinked. Absinthe gave an exasperated snort at the Dutchman, clearly dissatisfied with the appropriateness of his definition. Absinthe fluttered onto Copper’s shoulder and nuzzled into her hair. With a longsuffering sigh, the Dutchman revised his explanation. “They’re used for solving problems relating to time and the position of the Sun and stars in the sky,” the alchemist clarified and Absinthe seemed satisfied that that explanation was suitable for Copper. The girl looked at the Green Fairy in hopeful astonishment. “We can use this to find my Daddy? Is that what you mean, Absinthe?” she asked the little fairy. Aubrieta flew to them and hovered near her newly reconciled mate. Both of the fairies chirped happily to Copper in what seemed to be affirming noises. “Hopefully the astrolabe can help us get home as well,” I said wryly. Then I held out the measuring device. A third of the toothpicks had darkened from a saturated lavender to royal purple. So… the dead man in the study had an ape doppelgänger — and both seem to be a tad dishonest. The fairies may have found a device to find Copper’s daddy, but in which world is Calvin Hickson? The amethyst world or our own — and how much time do they have to find him if he’s in the purple world? Meanwhile the metering “toothpicks” deepen in purple hues. What about those awful people from the orphanage? What about the woman with a chimp — she lead one of the groups chasing our trio? And the ape who gestured “Daddy” in sign language? There are many questions yet to be answered. So be at the train station next time. When I saw a cornbread recipe was needed for this episode, I thought of one of the newer supporters of this blog and serial – Cheryl “Cheffie Cooks” Wiser. I was pleased to find more than one tasty cornbread recipe in her repertoire! Sorry – no photo this time. Just browse around Cheryl’s blogs – you’ll find plenty to drool over!